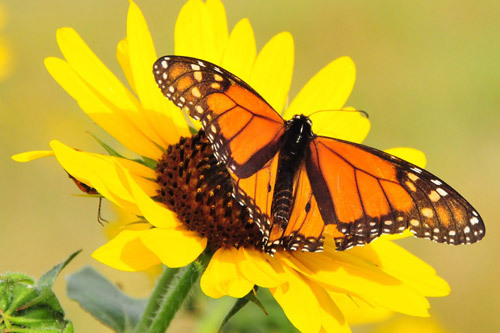 How to Grow Monarch Butterflies? Find out all about it in this article. 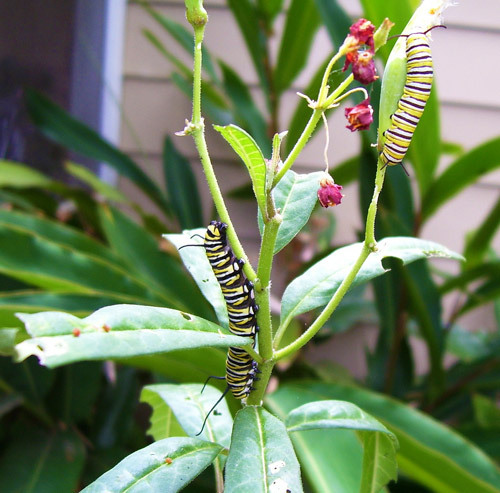 Insects > Monarch Butterflies > How to Grow Monarch Butterflies? 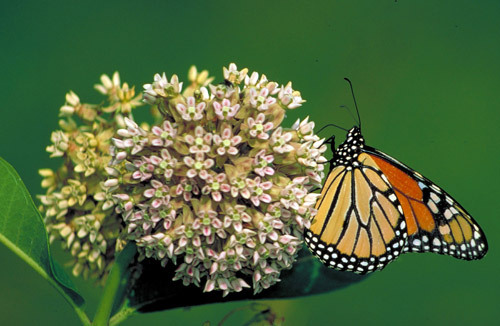 Monarch Butterfly, biologically known as Danaus Plexppus, is a milkweed butterfly. People say, it is the most beautiful butterfly, and hence, considered the “king of butterflies”. Thus, it acquired the name “Monarch”. It belongs to the Nymphalidae family, and has black and orange designed wings that grow 8.9 to 10.2 cm. It is a beautiful sight to watch these striking creatures fluttering around the flowers and plants. Many butterfly lovers grow their own Monarch species to enjoy the view in their own garden, as well as to introduce it to the new generation kids, who have very little opportunities to interact so closely with nature. Also, the Monarch butterflies have been included in the list of ‘endangered species‘. So, if some of you plan to create a suitable habitat for these creatures, it will be a great effort to increase the population of this species that is on the verge of extinction. Before growing these beautiful creatures in your garden, you must be aware of certain facts related to their growth. 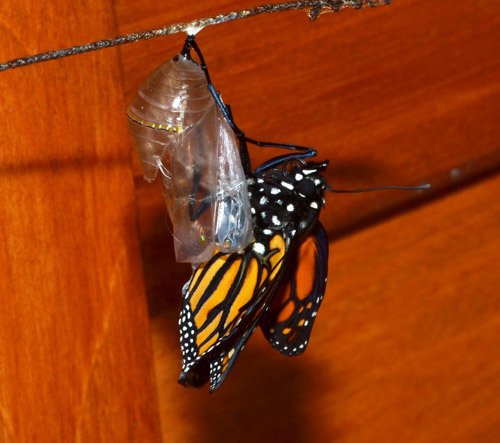 The life cycle of the Monarch butterfly has four stages and four generations. The stages are egg, larvae, pupa and adult butterfly, and the four generation means four butterflies passing through these four stages within a year. The previous generation’s adult butterfly lays eggs on the milkweed, when the stage one of the first generation starts. 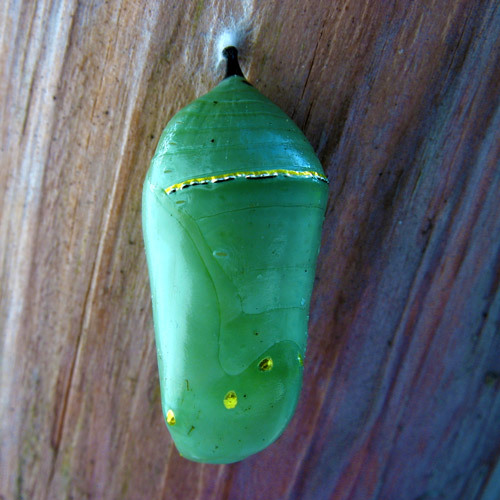 Within 4 days, the eggs hatch to form a caterpillar or larvae, the second stage. At this stage, the larvae eat the milkweed on which it lives. Within two weeks, it attains full growth and attaches to some place like a leaf or stem by discharging silk, and undergoes the process of metamorphosis to transform into a pupa or chrysalis. In the next 10 days, continuous process of metamorphosis transforms the old body parts of the pupa into the beautiful parts of the future adult butterfly. The adult butterfly will emerge in the mid-morning time and fly away in search of food and a mate. They live a short life that ranges from two to six weeks. Within this period, it will lay eggs for the second generation. The second and third generation also follows the same procedure. The second generation evolves in May or June. It lays eggs for the third generation in July or August. The fourth generation process is almost same except one point. The fourth generation eggs are laid in the month of September or October, but they live more than eight to nine months. This fourth generation butterfly also has a specialty; it migrates to the warmer regions of California or Mexico. Though they will be attracted to your gardens, when it is full of flowers, they basically prefer the milkweed plant. They lay their eggs only on this plant because the larvae eat the leaves of only this plant. This plant has bright pink colored flowers that highly attract these butterflies and some birds. It is mainly found throughout the Great Plains. 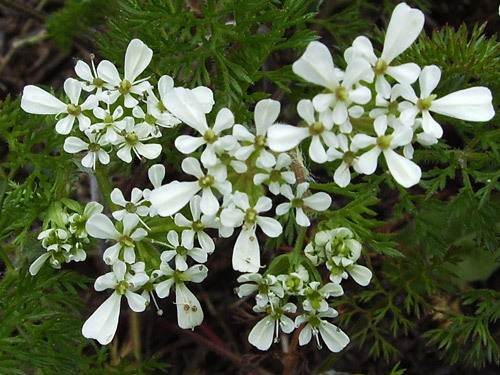 It grows well in semi-wet terrain or on a swamp bank. Its beautiful and bright red flowers are attractive and suitable in a butterfly garden. Mainly found in the Southwest and Southeast regions, it prefers rocky terrain or woodland habitats. It has purple-rose colored blooms loved by all butterflies. This plant is mainly found in western and Midwestern areas of the United States. It prefers loamy or sandy terrain to grow well. 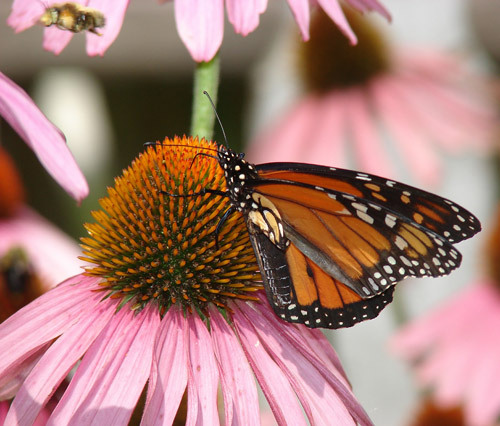 Bright colored flowers are grown in butterfly gardens to attract, but Monarch butterfly prefers some variety of flowers to obtain the nectar. These flowers are charming, and have attractive shape as well as color to attract both the birds and Monarch butterflies. Hence, it is a suitable flower to start a butterfly garden. 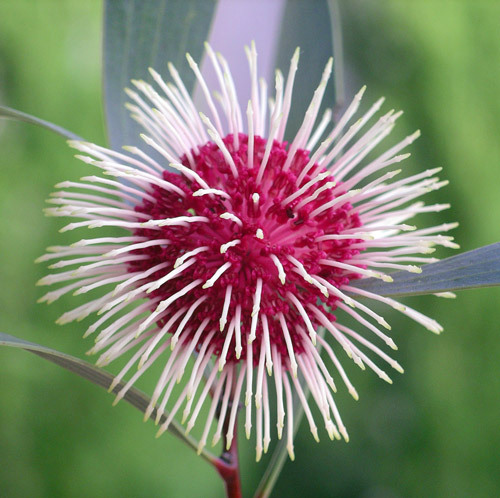 It is a tall, nectar rich, cold-hardy flower that derives its name due to its peak center. It is a flower for butterfly attraction. This wooly type flower is an elegant white blossom, growing on evergreen perennials that are commonly seen in areas having rocky and sandy soil. After planting all the essential plants in your garden, check for some Monarch Butterfly eggs. Though it is not so easy, the best method is to watch an adult Monarch, when it is near the milkweed plant. The female Monarch lays eggs only on the leaf of milkweed plants. Usually one egg is laid in each milkweed plant to provide enough food for the future larvae. If growing in containers, then take an aquarium or ice-cream container, washed and sterilized before use. Add washed fresh milkweed leaves and place the butterfly eggs on it. Within a few days the larva emerges out of the eggshell (chorion), and feeds on the milkweed leaves and on its own eggshell. Hence, when in a container, provide fresh milkweed leaves daily. If the old leaves have not dried up, you can provide the same leaf, but remember to moist it frequently. You can also place a wet paper towel below the leaves to prevent them from drying out. 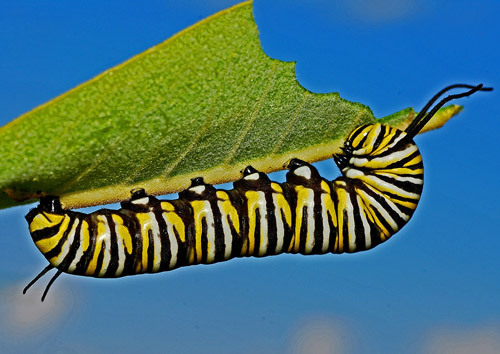 As the size of the caterpillar increases, the requirement of food also increases, hence, make sure these creatures get a constant supply of fresh milkweed leaves. 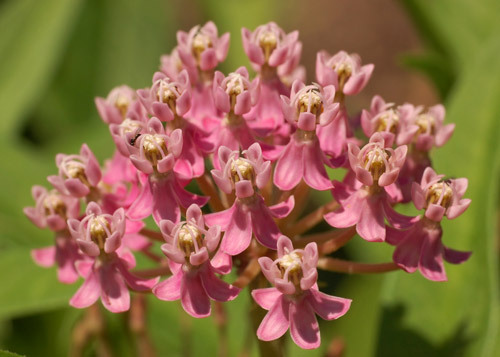 Don’t provide any other plant leaves, but you can give different species of milkweed leaves. Clean the container and remove the larvae waste every 2 to 3 days. In the larvae stage, it undergoes five ‘instars’, which means they shed their skin around 5 times. At this stage, there is a chance of getting bacterial and viral infection. If any of the caterpillars is affected, then remove it from the chamber before it spreads to others. The caterpillar moves to the top of the container to enter into the pupa stage by sticking there with a silken thread. In this stage, the pupa will not consume food but remain idle for around 10 to 15 days, after which beautiful butterflies emerge. The adult butterflies should be given time to open its wings for flight. Similarly, do not touch them for 3 to 4 hours, until their wings dry. You can set them free the following day near the flowers, or if planning to keep in the containers or cages, provide essential food like a flower in a small container, honey and water solution absorbed in a sponge attached to the lid or in a container and fruits like watermelon or honeydew can also be provided. To help them in feeding, place their front legs into the food and they will automatically unwind and extend their proboscis. If they cannot unwind even after several tries, you can use a pin to carefully unwind it. If the proboscis is in the food, it means they are consuming their food. 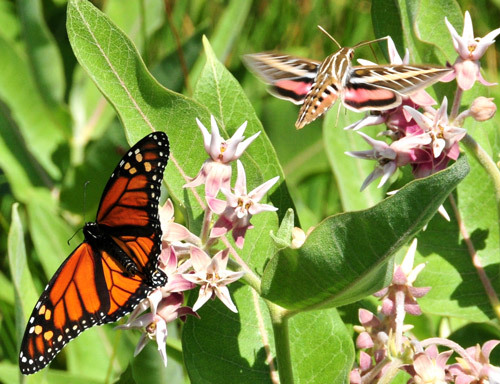 Depleting Milkweed Plant Affecting Monarchs. Find out All About It in This Article.